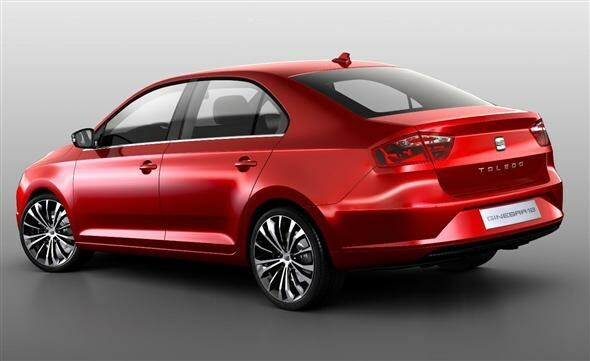 SEAT has released details of a new Toledo saloon ahead of its premiere at the Geneva Motor Show. While it’s just a concept at the moment, though it looks pretty much production ready to us, SEAT claims that it combines the proportions of a classic saloon with a sporty, almost coupe-like design. Set to sit between the Leon and Exeo in the firm’s model range, it’s being billed as the value-for-money model with a low purchase price but with a high level of standard kit. It’s likely to get a mix of engines already available in the manufacturer’s models, including the 1.2-litre TSI and the 1.6-litre diesel engine. Measuring around 4.4 metres in length, it’s a little shorter than a Ford Mondeo. The company claims it will offer a good amount of space for five people as well as 500 litres of potential luggage space. It’s quite a departure from the previous Toledo, which was a rather awkward-looking rehashed version of the Altea but with a boot stuck on the back. The designers at SEAT claim that the latest Toledo is the next step for the brand in its model offensive and growth. At the front of the car is a honeycomb grille, which SEAT says gives it a wide and low look, while the front and rear light designs and chrome wing apparently round off the mature styling. Which all sounds very nice indeed. According to SEAT, the interior reflects the modern, clear lines of the exterior. To be fair, it all looks very similar to a number of other models already on sale. It’s likely to arrive in the UK early next year with prices expected to be announced nearer the time. The car gets its official unveiling at the 2012 Geneva Motor Show, which Parkers will be covering live. 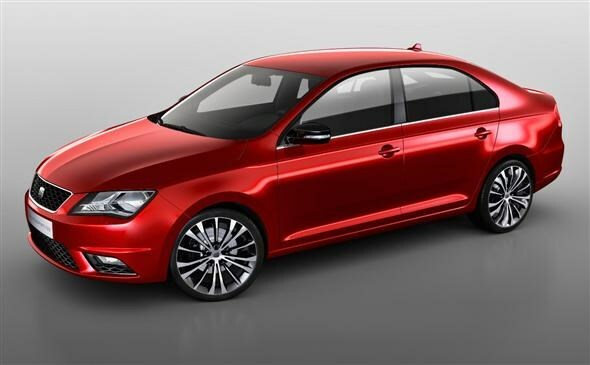 Did you know the most popular review for the Toledo range is the SEAT Toledo review.